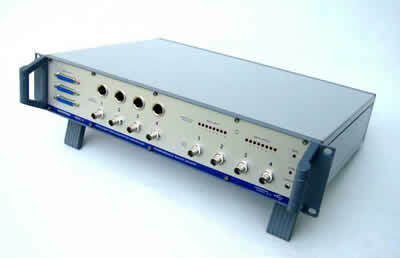 The IDAC (Intelligent Data Acquisition Controller) systems are software controlled signal acquisition systems containing programmable amplifiers and filters, optimised for EAG, SSR, and GC-EAD/SSR recording. They all operate with the Syntech EAG, GC-EAD and AutoSpike software on Windows operating systems as well as on Apple Macintosh Computers. The data transmission using the USB port offers high flexibility in the choice of PC or laptop for recording and/or analysis of the signals. Connects directly to the USB port of the PC; No external power needed. Auto- and manual offset control and special EAG filter functions available through the software. For use with any PC (and portables) with USB port. Fully software programmable: Gain, Offset, Filters, Command inputs, etc. Actuator sequence runs simultaneously with signal acquisition. The Syntech software has been especially developed for recording signals from insect antennae ElectroAntennoGraphy, EAG) and from olfactory and contact chemoreceptive neurons (Single Sensillum Recording, SSR) together with signals from other sensors and devices, like gas chromatographs and stimulus generators. 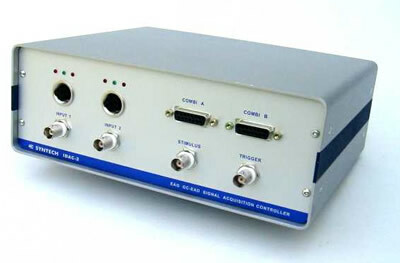 The software runs with all Syntech IDAC systems using the appropriate driver. Upgrades of the software can be downloaded free.